Years ago a song called 'Building With A Steeple' by The Eighth Day turned up on one of those soft sike collections called 'Fading Yellow.' For me, the song was an immediate stand-out and I bought a copy when I started collecting 60s psych 45s. 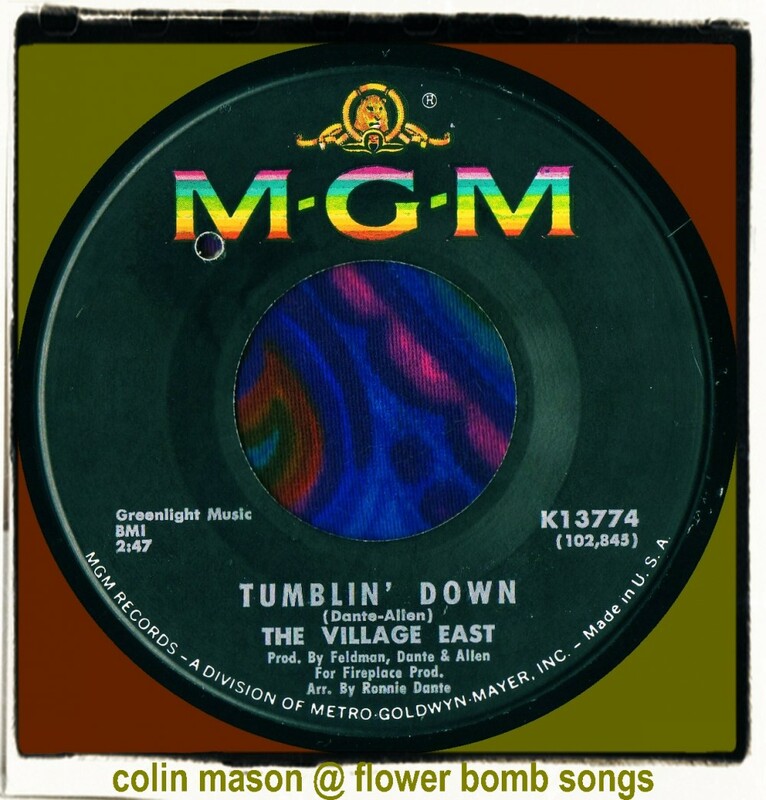 What appears to be less known is the fact that The Eighth Day version was a cover, the original recorded by a long forgotten group called The Village East during mid 1967. Both versions are cool. It appears that it's just one of those instantly memorable flower pop songs from the summer of love. The original version uses brass instrumentation. I do not know where The Village East hailed from but this was the only record they released. It may have come out on a small local label before the MGM release. Who knows for sure? It just seems strange to me that a young hippie group would go straight onto a major label like MGM. The group were even overlooked in the expanded/updated 'Fuzz, Acid and Flowers' guide. 'Building With A Steeple' and the classy flowery folk-rock winner 'Tumblin' Down' on the flip were written by Ronnie Dante and Gene Allen. 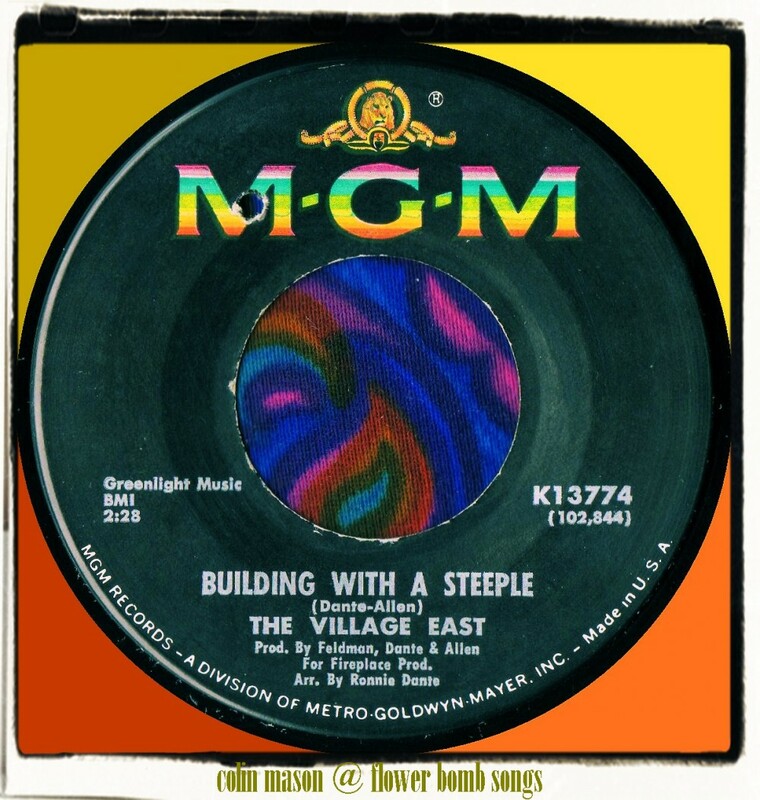 'Tumblin' Down' and this version of 'Steeple' still remain uncompiled and perhaps someone reading my blog entry could do the honours, as it's a shame the songs have not been recognised yet. Ronnie Dante became the lead vocalist with cartoon band The Archies but his best record was a bubblegum psycher called 'Janie Janie' released on Columbia Records....a hard record to find, I'm still looking! The "Eighth Day" version was the best version of this Tune!